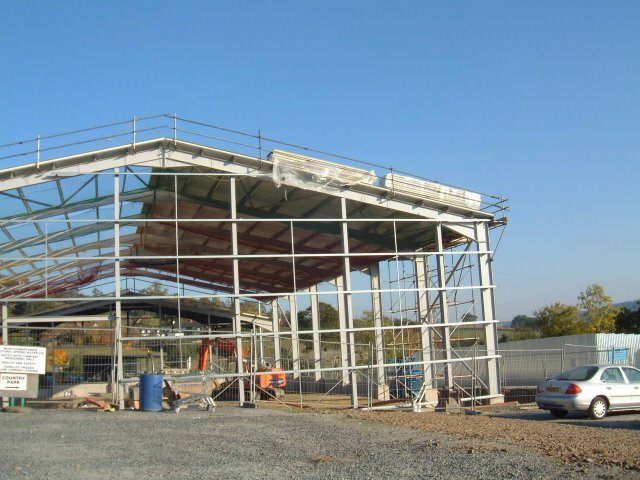 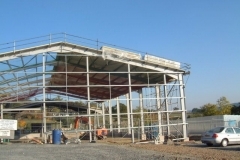 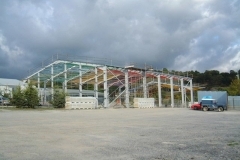 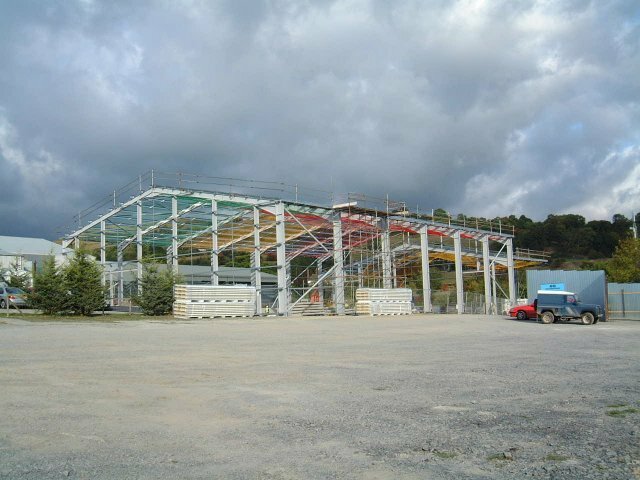 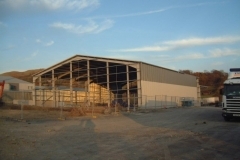 J. Campbell Construction Limited were employed as specialist cladding sub-contractor for the new build plant at Montgomery Natural Spring Water at Churchstoke, Powys, Mid Wales. 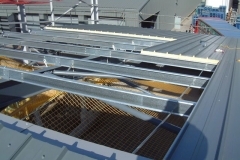 80mm thick insulated panels in plastisol coated (Merlin Grey BS 18B29) were installed on the roof. 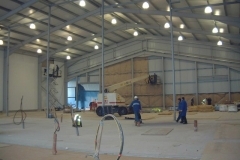 The wall cladding required a food safe finish. 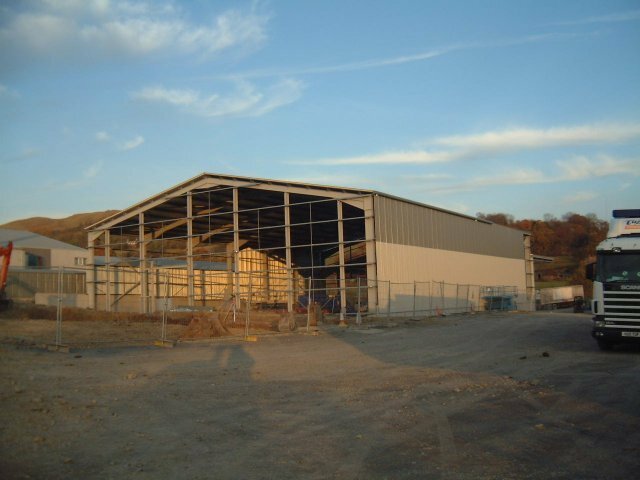 0.7 mm thick plastisol coated (Merlin Grey18B29 and Goosewing Grey BS 10A05) were fixed to the outer face of the cladding rails. 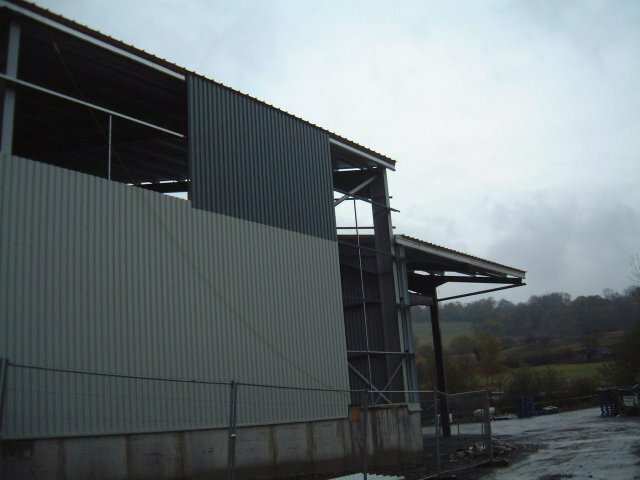 Bright white finish liner panels were fixed to the internal face of the cladding rails. 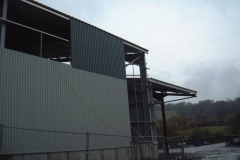 The outer wall cladding was fixed first providing weather protection. 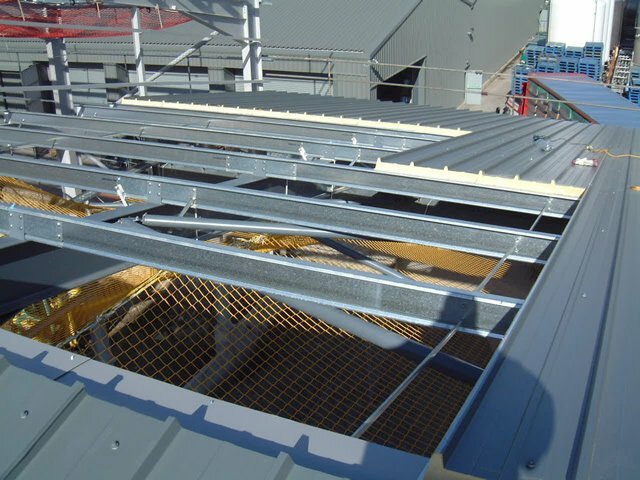 Paper backed rockwool insulation was then fixed to the inner side of the external cladding before the food safe liner panels were fixed. 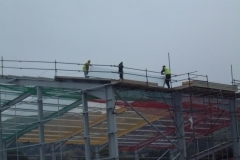 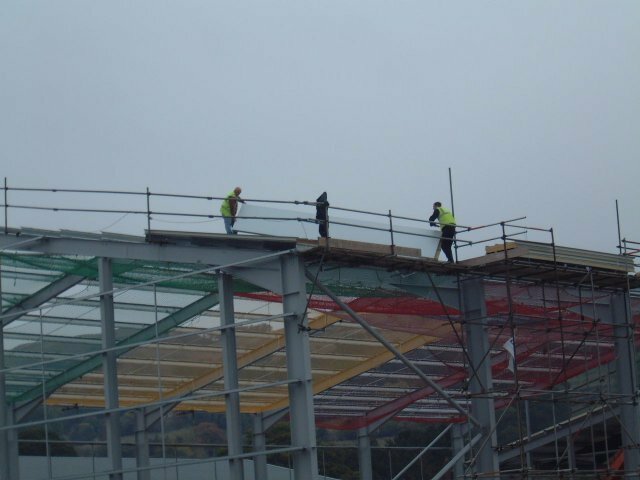 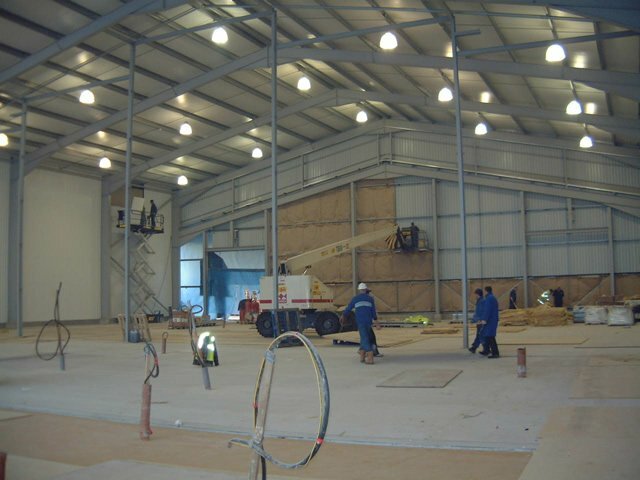 All the required lifting equipment, access, roof edge protection and safety nets etc were in place to ensure full safety for our employees and other site operatives for the duration of the works.